the intro song on the lead actor is being canned. Mega Power Star will be sporting a chiseled look in the number and his latest look in Dhruva is creating ripples. 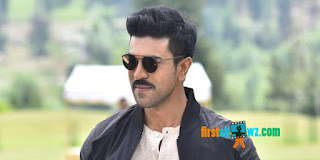 Ram Charan is ensuring that his look is going to be extra-special in Dhruva, where he plays the role of tough cop. Surender Reddy is donning the director cap for the movie, and Allu Arjun is producing it on Geetha Arts banner. Rakul Preet Singh is romancing Ram Charan in the action entertainer and Aravind Swamy, Posani Krishna Murali, Navdeep will be seen in prominent roles. Hiphop Thamiza is the music composer. Dhruva audio will be launched on November 9, and it will hit the screens on December 2.